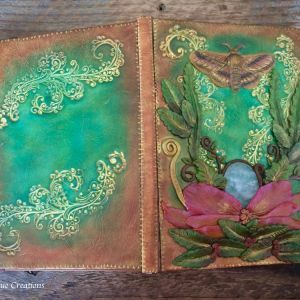 Premium lined journal is 9.5 x 7.5 inches hardcover with 320 cream color pages. 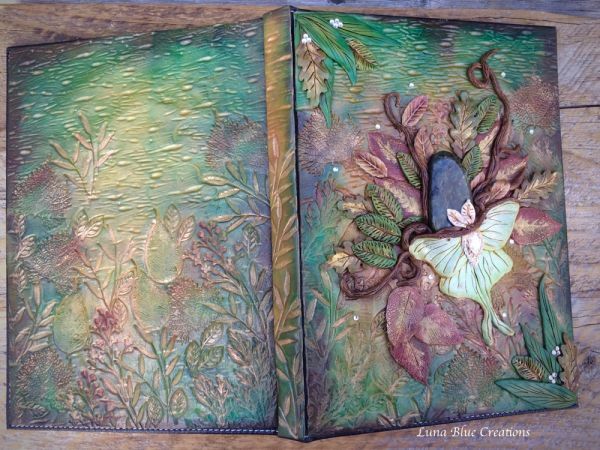 Personalized Journal with Labradorite, rhinestones and Luna Moth. 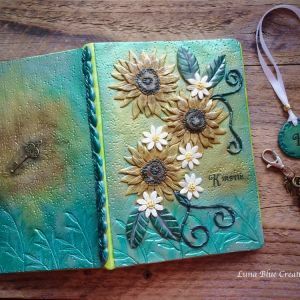 Personalized this journal with your own name. Name plate will be placed on bottom left. 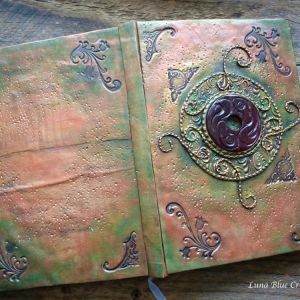 Premium Journal ( 9.5 x 7.5 inches) hardcover with 320 cream color lined pages. 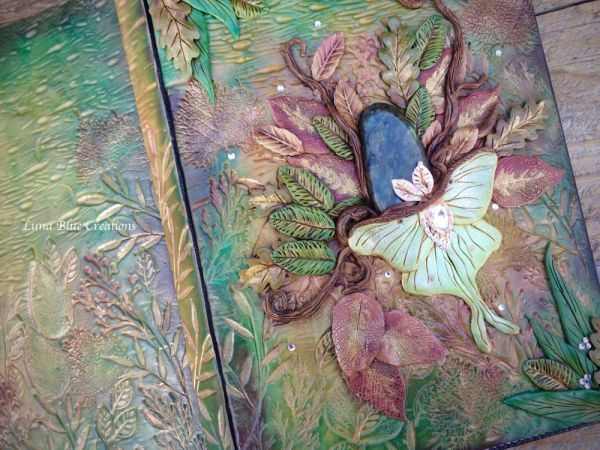 The cover design is made of sculpted polymer clay accented with labradorite gemstone and rhinestones. 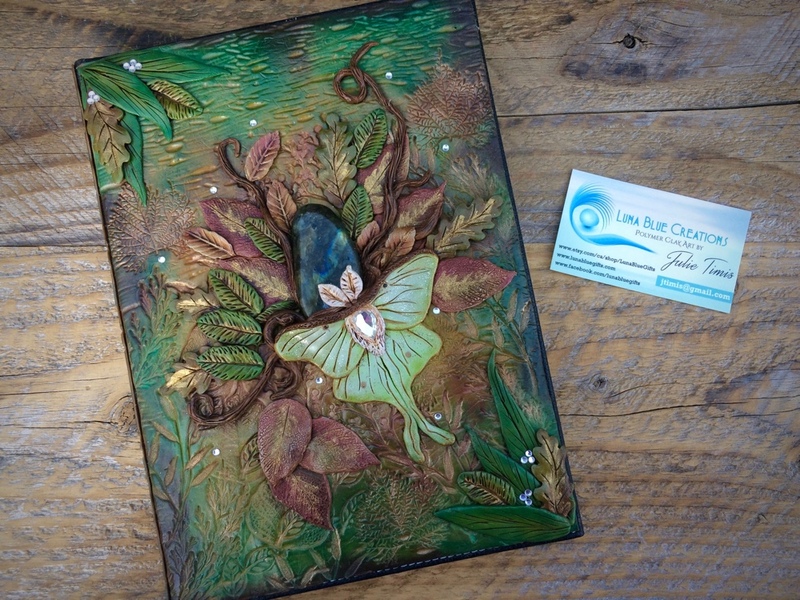 Journal is with Luna Moth symbolizes rebirth, regeneration, and renewal – even depicted as a spiritual guide through transformation to a new self.Butterfly symbolizes change, color, hope, life & endurance. 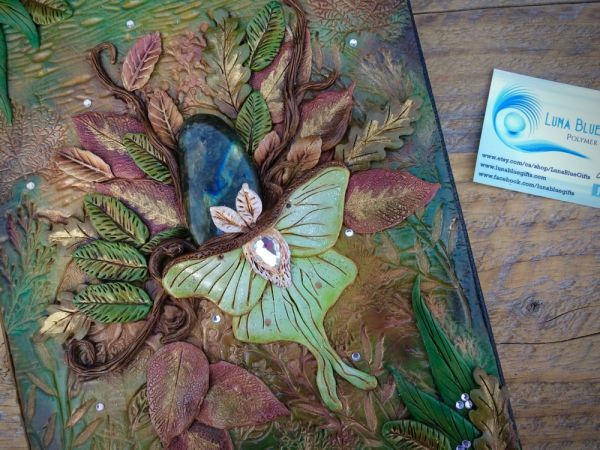 Labradorite stone awakens your life’s purpose and intuition. 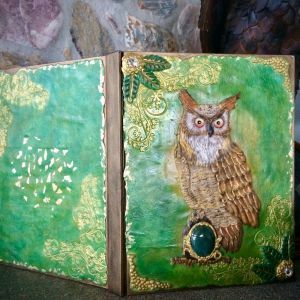 It is used for meditation to connect to your inner self and wisdom.